Long ago, some cultures thought dogs had psychic abilities and the howl of a dog meant someone was about to die, yikes! The truth is a lot less dramatic, howling is just a form of communication and here are a few different ways canines use howls to relate information to each other. Packs of canines howl to pull members back together or to help lost pack members reunite with the group. This could be why some domesticated dogs howl from separation anxiety when their owners leave the house. Canines may use howls as a warning to others when protecting their territory or to warn pack members of a potential threat. Haley sometimes uses a howl-like bark when strangers approach the house. The electronic howl of a siren makes some dogs answer with a howl of their own. It probably sounds so similar to a real howl that a dog’s instinct kicks in and they respond. Group howling among dogs (or you and your dog) could be a bonding ritual similar to how people bond by singing together. Dogs have been known to howl when they’re sick or injured to either cry for help or to express pain. Hunting dogs often howl to alert each other or their human hunters when they’ve located their prey. If a bored dog gets attention by howling, they quickly learn to howl anytime they’re bored or lonely. I’ve only heard Haley howl one time and I didn’t get to witness it in person. A few years ago we set up a video camera for a short time to observe Haley’s behavior when we weren’t at home. Towards the end of a Christmas holiday when my son and daughter-in-law were heading back home, they said goodbye to Haley and we all left the house to have lunch together before they left town. Here’s what happened after we left the house. I was shocked when I watched the video! Was that really her, howling? I wish she would have been standing in the camera’s view but she was looking out the window and probably hoping to call her pack back home. They say each wolf has a distinctive howl that’s like a vocal fingerprint, acoustically calibrated to carry over long distances. Maybe this is Haley’s vocal fingerprint which includes blowing out air and yawning. I did mention she wasn’t good at howling, right? 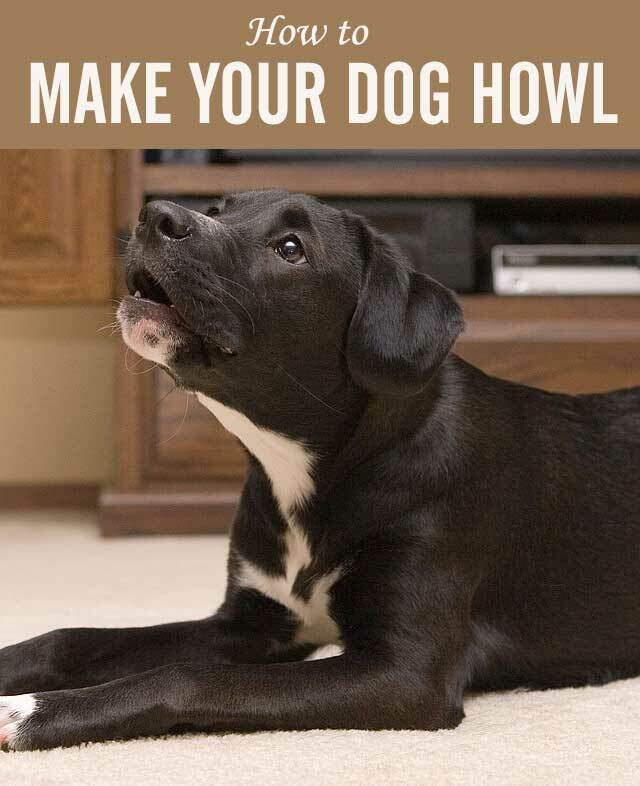 If you want to teach your dog to howl, try these ideas! 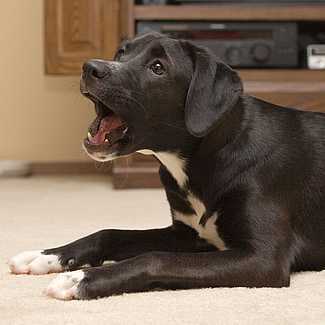 Howl or sing in a high-pitched tone at your dog, then praise and reward with treats when they mimic you. 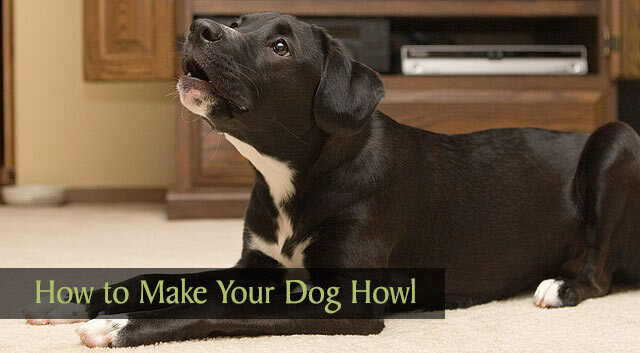 After your dog starts to catch on, combine the howling with a command such as “Sing” or “Howl”. Use a harmonica or other musical instrument to experiment with different pitches to try to make your dog howl. If your dog howls when they hear a siren, start giving them a command or cue when it happens. Give praise or treats to reinforce the behavior. Play different types of music to see if your dog will respond and howl. For some reason, the theme song to Law and Order works for a lot of dogs. Download an app with sirens or sounds for getting your dog’s attention and experiment with your pup. Set up a video camera and record your dog when you leave the house to see if they howl. The last idea was the only one that worked for Haley. She tries really hard but either she needs some howling lessons or I could use some of your suggestions. I’d love to hear her howl again, so share your secrets for how you make your dog howl. I’m so surprised by that! I thought for sure Bentley would be a master howler. Maybe he’ll surprise you too one day with a big ole soulful howl. Haley’s definitely more of a whiner too. My mom says to let us know when you post on how to stop your dogs from howling. Bailie and I love to howl and we do a lot of it being hounds. If one howls, the other has to howl as well. Aw, I would love to hear that. If we’re ever in your neck of the woods, Haley will stop in for a howling lesson, lol! Mom says we are not big howlers, nope just winers! BOL! Come to think of it, I don’t believe I’ve ever heard of a Golden that howls. They are so beautiful and refined, I would probably crack up laughing if I saw one howl. ? I’m a very vocal fellow, but I don’t howl. My Human says if I start howlin’ too…well…I may lose my happy home. Oh no, don’t say that, Hawk! I’m sure you could do almost anything and still remain at your happy home. ? My older boy Wilson loves to howl. All I need to do is make a whoo-whoo sound and off he goes. Jimmy has never figured it out, but occasionally he gets his lips in the right mode and belts one out. Aw, I bet that’s fun to watch when Jimmy manages to let out a good howl. I remember Haley having a puppy, bark-like howl when she first came home too. I think she only did it on the first night. Hahaha! Oh boy, this is a great post! I have 3 huskies who lovvvvvvvvvve to howl! Yes! I thought about you Jenna when I was writing this post. I would love to see a video of your tribe when they start their howling. ? Gambler can roooo does that count? I think it does, JoAnn! ?? LOL! The song to Law and Order makes dogs howl? I have to try this. Ruby is not much of a barker or howler, but still must try this. It’s weird, I listened to the Law and Order theme song and there doesn’t seem to be anything special about it that would make dogs howl but I guess there’s something all those dogs on YouTube love about it. ? My brothers thought this was vastly amusing to do to my parents schnauzers growing up. I wasn’t a fan then, still not now. They bark enough as it is, no need to teach them howling. I grew up with schnauzers too and they are pretty vocal as it is. I’m sure I tried to get ours to howl too, but they pretty much just barked, a lot! ? Ethel howls, but Earl has never howled properly before! Border Terriers are renown for ‘singing’! I bet Earl and Ethel could perform a beautiful duet together. Oh my gosh, that’s so precious Cathy! Harley is just full of love and joy. ? This post is very interesting. I never knew there were so many reasons for dogs to howl. I was fascinated to learn that wolves have unique vocal fingerprints. I guess that makes sense though, like how we can recognize other people’s voices. I haven’t had a dog that howled since our family dog passed over 10 years ago. He used to love howling at the sirens. I’ll have to try some of your tips for getting my dogs to howl. You’ll have to let me know if you have any luck, Colby! ? Everyone said, oh you have a hound, they howl all the time. No, she does not howl!! She talks like crazy but no howling. I love the idea of a camera when we are gone. We talked about it because we thought it might be funny to see what she does. The first time we set up a camera, Haley stared at it for about 20 minutes after we left. I guess she was looking at the little red light or maybe it was making a slight noise. You’ll have to let me know what Cocoa does if you set up a camera. Haha, I can understand that Spencer! ? That video is SO cute! I’ve never heard Rita howl. When I howl, she just runs over and looks concerned, so I’m not sure I’ll ever hear her. Our last dog didn’t howl either, but our beagle used to. It was adorable. I hear once that only male dogs howl at sirens, but wasn’t sure if that was a myth?? I’ve only ever had female dogs and none of them have howled at sirens. I wonder if that’s true, that only males dogs howl at sirens. Hmm, maybe someone will leave a comment and answer that question. I had to laugh at the thought of Rita coming over to see if you’re okay, lol! ? Cole has a sort of scream… he only does it for one neighborhood dog that he seems to hate. Oh and once when we went in to a restaurant and left him in the car with the moonroof open. It was cool. He stuck his mouth out the opening and screamed for us to return so loudly the staff said, noone’s here, bring him in! Aw, I bet that was a site to see with Cole calling for you from the moonroof. It was so nice of the staff to let him come in and join you. Nice people! ? Mr. N doesn’t seem to howl either. He whines and barks and makes little dissatisfaction noises but no howling! Yep, I know what you mean about the dissatisfaction noises, lol. Awe she was sad everyone left. Chessies sometime roo. Freighter roos. Storm will howl on occasion. Thunder is silent. I would love to hear the Chessie “rooo” that you and JoAnn mentioned. How ironic that Thunder is silent, haha! I’ve never heard my border collies howl, but I’ve never tried to teach them to howl either. When I played your video of Haley howling they both gathered around my computer and looked very interested, but neither did any type of vocalization in response. Aw, I wonder if they would respond to the Law and Order theme song. My dog only howls in her sleep. She will do 3-5 of them getting louder with each one. Sometimes she wakes herself up and it is funny to see her looking around to see who was howling. I believe singing must be close to howling. My dog sings to Happy Birthday to You. To get her started, I use a high “wooooo” sounds. She is usually singing by the second line. I think you’re right, Melody. Singing must be really similar to howling and I would love to see the Happy Birthday song. That would make birthdays extra special! ? What a unique, cool video of Haley howling!! Missy & Buzz are definitely not howlers, although Buzz will let out a howl-like sound every now & then when he’s outside in the yard and hears/sees someone close to our property. I will try and record him when he does it. Two of my pet sitting clients are Huskies, and both definitely howl. Milo, the boy, tries to howl-manipulate me into giving him extra treats 😉 Haley, the girl, howls softly for more belly rubs. I’d love to hear Buzz’s howl-like sound! It’s hard to catch them in the act, isn’t it? I never have my camera or cell phone at the ready when Haley does interesting things. The huskies sound adorable, especially Haley with her soft belly-rub howl. ? That was amazing. It sounds like Haley gave a little sniff in between her howls. How lucky you were to capture that. My first two dogs always howled at sirens. And when we left the house. But Honey shows no interest in howling. She didn’t even look up when I played the Haley video. Maybe I’ll howl for her sometime and see how she responds. I think she was blowing out air or something, lol! I would have loved to have captured her visually on tape though to see what she was doing. 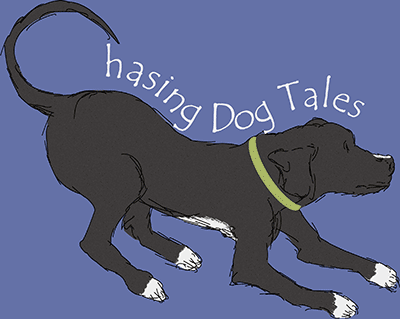 If Honey doesn’t react to your howling, maybe she’ll hear a foghorn one day and howl. ? The only time I’m aware of my dogs howling is when I take one for a walk and leave the other two behind. I can hear the other two howling as I walk down the street. Now I know why they do that….thanks for that interesting information! Aw, they all want to be together for a pack walk. I bet it’s nice having some one-on-one time with each of them sometimes too. I love how when you left Haley howled-like she wanted you to come home! Yes! I have to admit, I couldn’t really picture a border collie howling either, but I found these on YouTube! Maybe one of these two methods would work (using a siren or howling at your dog). There are lots of howling border collies on YouTube, so your pup will be in good company if you’re successful. Good luck! ? The YouTube howling dogs are so cool, aren’t they? I sure wish I could teach Haley to do it on command, but I’ve spent countless hours howling at her and making a fool out of myself, haha! ? Lol! I think you may be crazy like a fox, Fox! ? Haha! I think you should video Fritz and Florlinda to see if they actually do sing “When I’m Gone” after you leave the house. Thanks so much for visiting and don’t give up on training Fritz. You really can teach old dogs new tricks, lol! ? My dog refuses to howl, I have tried everything you suggested but still nothing, what should I do? I have a dog just like the one in the picture. What breed is it? Tried all of these steps with my Border Collie, Sebby. None of them have worked on him. I want to be able to train him to “sing” but I’m about to lose hope since you won’t howl at all.